Now that the sun is getting higher, should I be worried my containers are going to get too hot? We have a big problem with squirrels and raccoons, will they bother my containers? 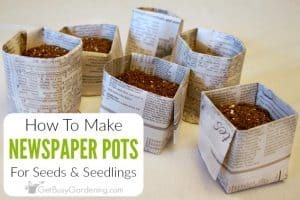 Can I sow seeds in Dixie cups, toilet paper rolls, or egg cartons inside my containers? Can I put my winter sown containers in my porch instead of outside for the winter? When should I move my containers to a sunny location? Q: Now that the sun is getting higher, should I be worried my containers are going to get too hot? A: Yes. In my experience, this can be a problem. The concern is that the seeds/seedlings could bake if the containers are left in a full sun location. The ideal location would be an area where the containers are protected from the intense afternoon sun. You don’t want them to be in the shade all day, morning and evening sun are ideal. Put your containers under a tree or bushes, or next to a fence, shed or the house… anything that can provide some shade in the afternoon. If a full sun location is your only option, you could always create a temporary screen to help protect them, or add more holes in the top of the container to vent them more. Q: We have a big problem with squirrels and raccoons, will they bother my containers? A: We have squirrels and raccoons too, and I’ve never had a problem with them getting into my containers. 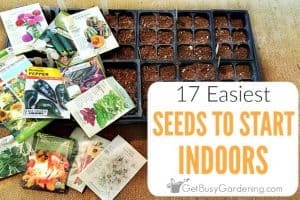 If you’re too afraid to start winter sowing seeds because of this, you could put out a few test containers this spring and see if they bother them. I would think that since the containers are closed tight with lids or taped together, these pests will leave them alone. 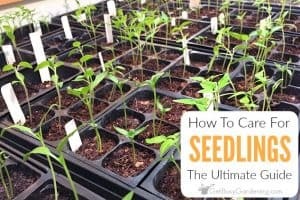 You could always leave the lids on the containers until you’re ready to plant the seedlings in the ground. 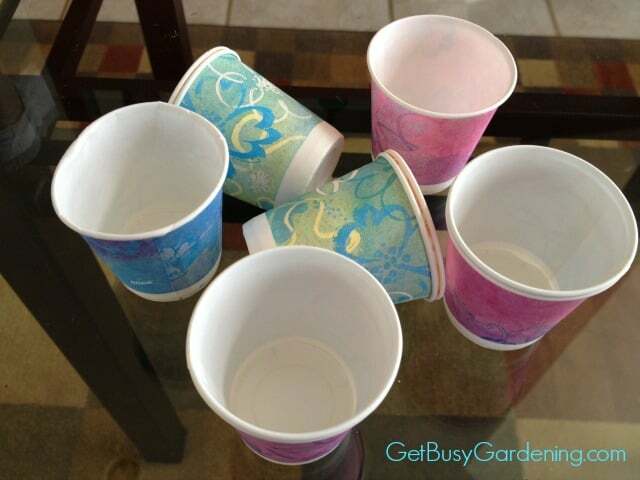 Q: Can I sow seeds in Dixie cups, toilet paper rolls, or egg cartons inside my containers? A: I haven’t tried this before, but I am experimenting this year. I’ve heard of people doing this, so I think it would be fine. I’ve heard it’s easier to separate and plant the seedlings. My biggest concern with this is that the soil in the cups could dry out faster. I filled the space between the individual cups with dirt, so that should help keep the soil from drying out too quick. 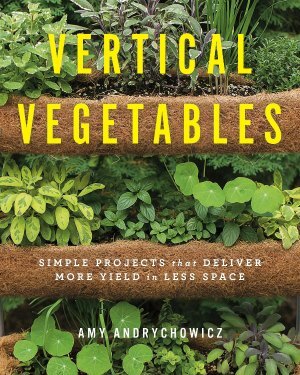 Another concern I have is the wicking effect; where the paper that’s sticking out above the soil acts like a wick and pulls the moisture out of the soil. If you use cups like this, keep a close eye on the soil moisture level. If wicking becomes a problem, either remove the paper that’s sticking out of the dirt, or cover it with more dirt. Q: Can I put my winter sown containers in my porch instead of outside for the winter? A: If the porch is screened in, they should be fine for the winter. But if the porch has windows, be careful of premature sprouting because of the greenhouse effect. Also, since they won’t be out in the rain in the spring, you will have to water them and monitor the containers more often to make sure they don’t dry out. You may also have to take an extra step to harden them off if it’s really warm in the porch. Q: When should I move my containers to a sunny location? A: Don’t do anything until the containers have sprouted. If the lids are on the containers, you should keep them in the morning/afternoon sun and out of the intense afternoon sun or they could get too hot. 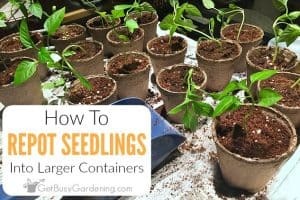 Once the containers have sprouted, you can take the lids off and move them to full sun if desired (you don’t have to do this, many people leave the containers alone until the seedlings have grown tall enough to touch the top.). Keep in mind your containers will dry out much faster once the lids are off, so you’ll have to check them often. Also remember that not all plants like the full sun, so don’t do this automatically for all of your seedlings. 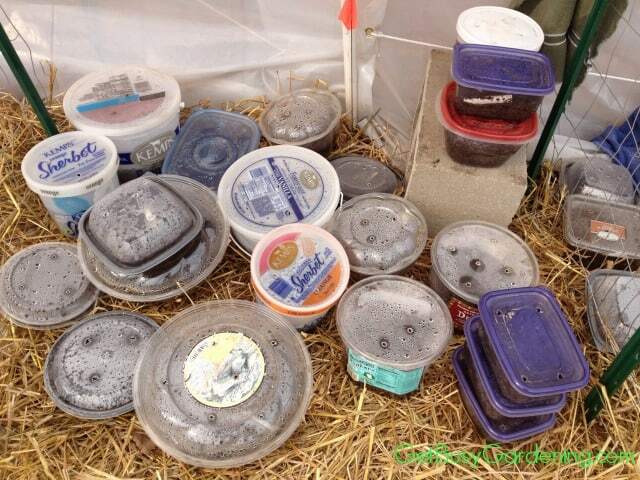 One last thing to note here – if you take the lids off to move them into the sun, you should put them back on at night, especially if it’s going to freeze. If you have any questions that haven’t been answered yet, leave a comment below and I will answer them for you. 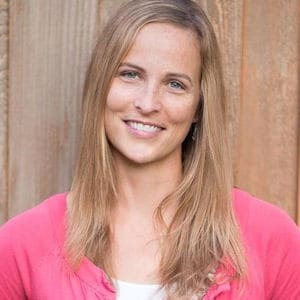 Hi Amy, what great tips! I started some seeds in flat Chinese take-out containers that look even nicer than the expensive black plastic trays that I bought in England! It's amazing what one can find around the house! Hi Matt, not sure how I missed this comment before, I didn't get an email notification when it was posted. It is amazing what you can find to use for winter sowing! It feels good to be able to reuse these things too, rather than throwing them straight into the recycling bin. Hope your seeds are doing well! Rotisserie chicken containers are fantastic for planting. They have a high top and generally ridges or depressions in the bottom to aid drainage. I've got a friend saving them, even now, for next winter's sowing! I’m just reading about winter sewing for the first time and I’m so excited! Could I winter sew in ct the first week of March? Thank you for your time! You’re welcome. 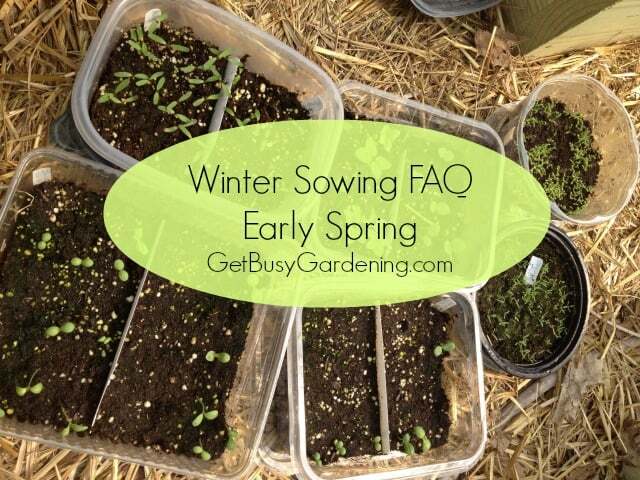 It depends on what type of seeds you want to try winter sowing. 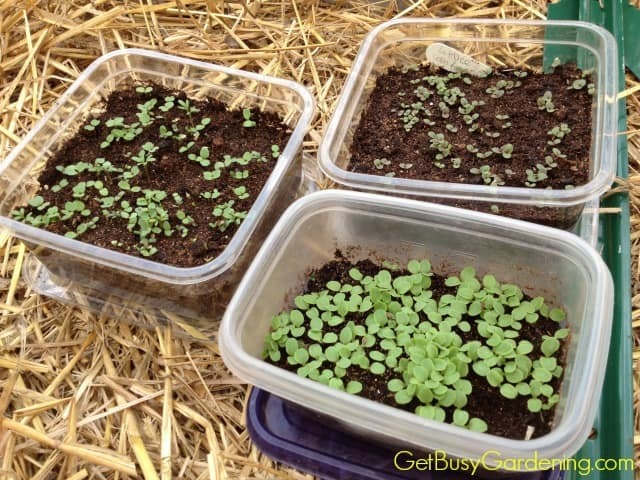 If the seeds need cold stratification, it may be too warm to start them in March. But otherwise, yes, many types of seeds will grow just fine using the winter sowing method as late as March. Have fun!